My latest idea of space saving and tidying up was 3M Command Hooks. Not having anywhere in the bathroom to hang our towels whilst showering was the first port of call. 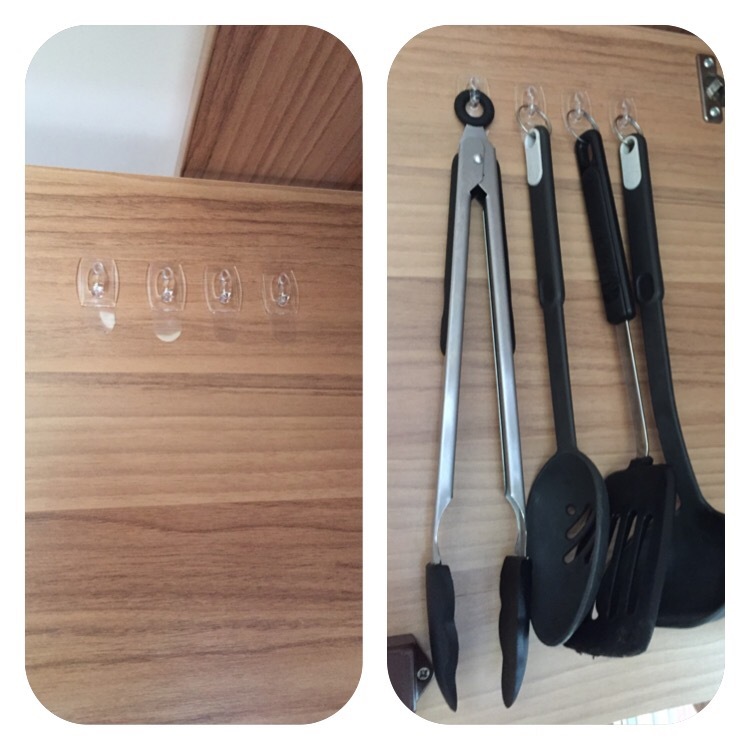 The hooks come with double sided sticky pads that attach to a small hanging plate. Firstly, you have to make sure that the surface to which the hook is to be placed on is clean and dry. Then, attach the sticky pad to the hanging plate holding firmly for 10 second. Next, remove the clearly marked ‘wall side’ sticker and press firmly onto the spot where you are going to put the hook. Holding it firmly in place for about 30 seconds. Leaving this for an hour the hook is then ready to use. The hooks come in a variety of weight bearing loads for an array of different uses. 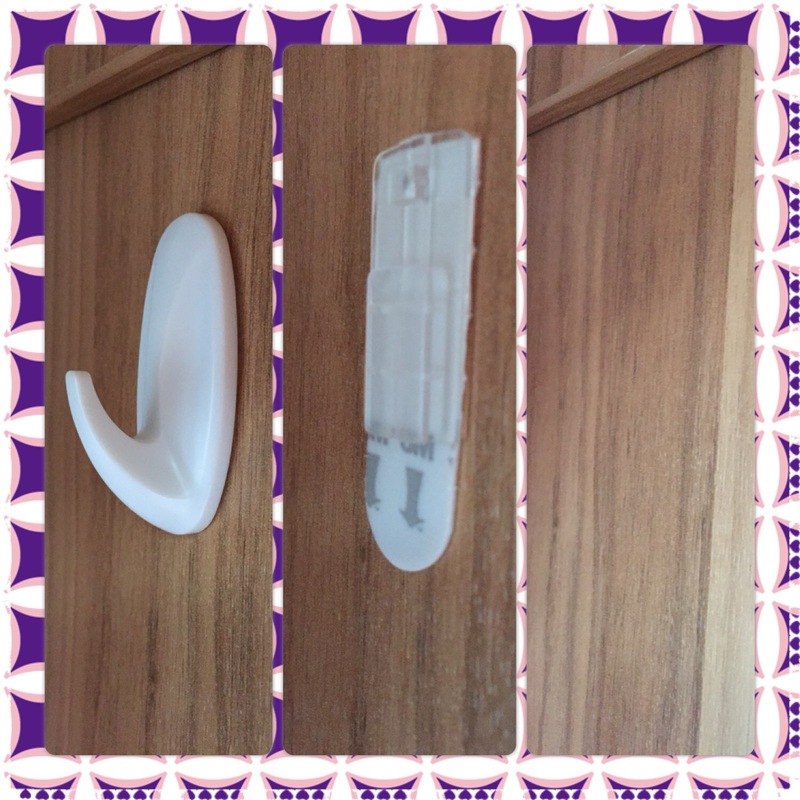 You have a choice of white or clear hooks so that for hanging small plaques etc they would be almost invisible. 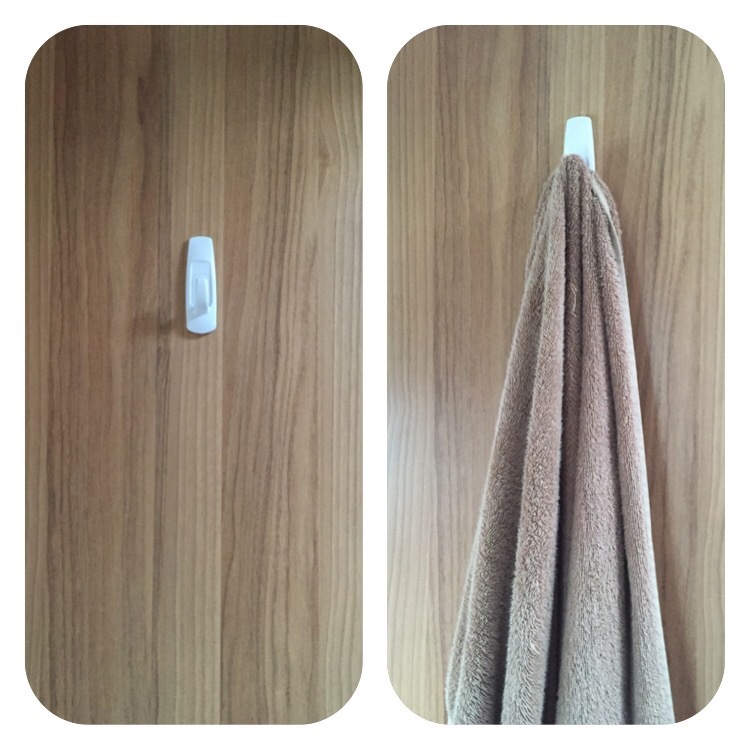 Before we put anymore up I really did want to check that they were removable without leaving the sticky mess on my walls, doors and cupboards that these type of hooks normally leave behind. Sliding the hook up and off there is a small tab at the base of the sticky pad. Grasping this pad firmly and pulling straight down the pad did come cleanly away leaving absolutely no mess at all. Satisfied that they actually did what they said they would off I went on a sticking frenzy. Two hooks were stuck into the inside of the shower. Perfect for hanging wet coats out of the way over winter. Four hooks went inside one of my kitchen cupboard doors. My cooking utensils take up so much valuable cupboard space. This is now perfect. Hooks were also added in our bedroom for our fleece jackets. They take up so much room in the wardrobe, now releasing space for me to take more clothes away with us. Would I use them again? Definitely. They do what they say on the packet. They come in various sizes all with weight guidelines and details of what they are best used for. Priced between £3 – £4 a pack I think they are fantastic value for money too. Having used various makes of hooks over the years. I’ve always been disappointed when in the end the hooks fell off leaving behind an unsightly mess which was nigh on impossible to remove. 3M Command Hooks have answered my prayers. I’m am now finding myself walking round wondering what else I can hang. I think my next trip will be to the shops to buy more hooks for our house.